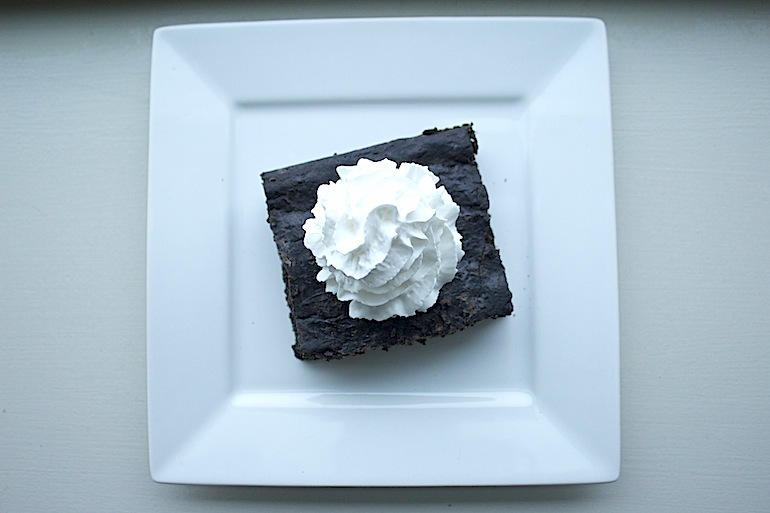 Okay—I get that many of you might be doubtful that a fudgy, chocolatey brownie can be low in calories and actually a smart snack choice… but that being said, all you doubters have come to the right place. 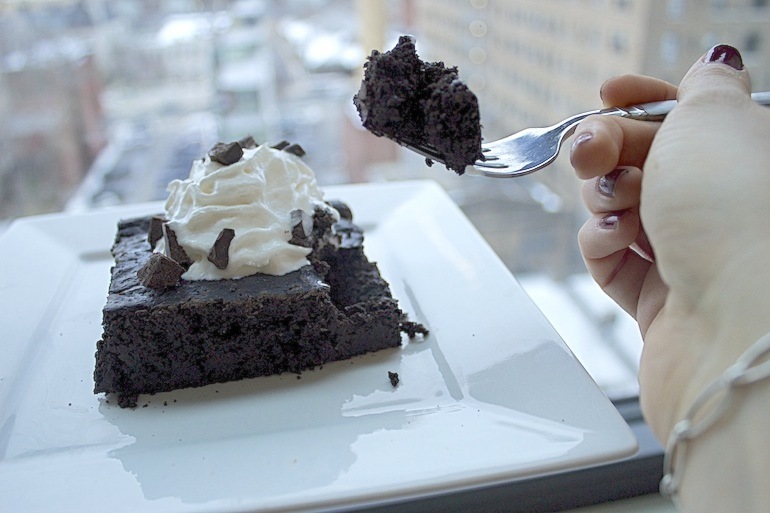 I LOVE brownies, always have. The problem is I don’t have just one or two when they come out of the oven. This recipe allows me to indulge (multiple times), even with spring break only a few weeks away. As an added bonus, they only take 15 minutes in the oven so there’s less waiting, and more eating. 2. Spray a baking pan with non-stick spray. 3. 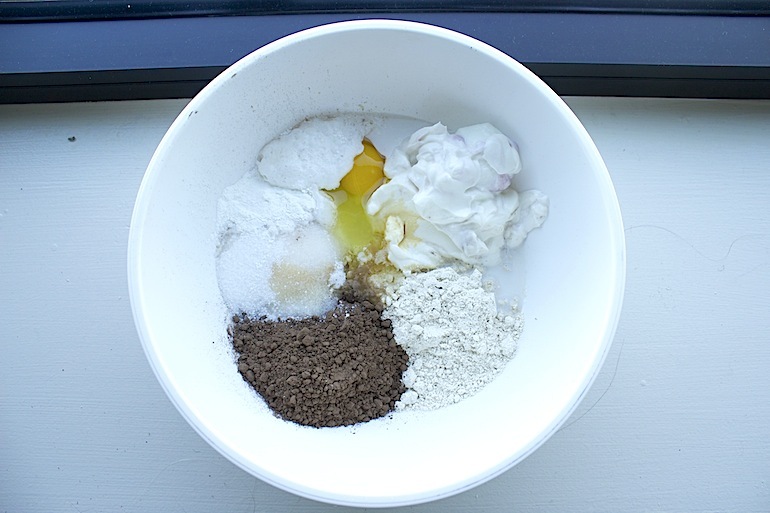 Mix together all the ingredients in a bowl (or for a smoother batter in a blender/food processor). 4. Fold in the chocolate chips if using. 5. Pour the batter into the baking pan. 6. Place in the oven for 15 minutes or until the middle is set. 7. 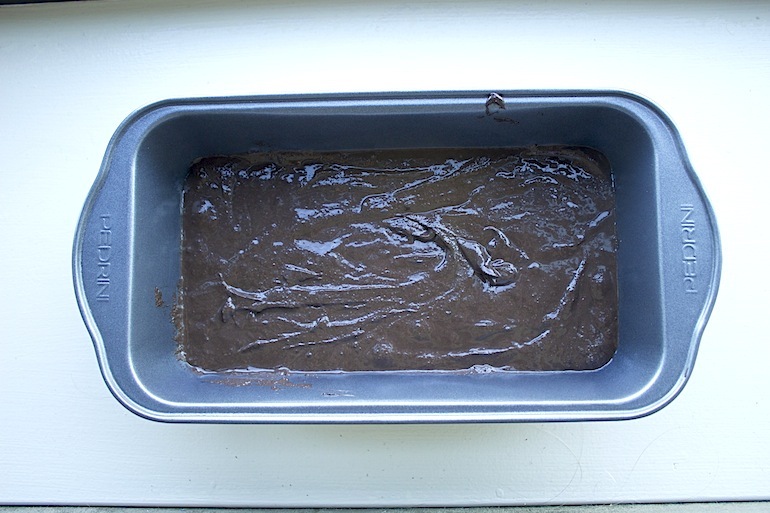 Remove from oven and allow to cool— this is the hard part, the longer the cooked brownies sit, the better they are. So be as patient as possible! Top with whipped cream and/or chocolate chips and serve. The really cool thing about these brownies is that you can change up the flavor by changing up the Greek yogurt you use. I have tried plain, honey, vanilla, raspberry, blackberry and apple cinnamon. Important note: If you don’t tell your friends that they’re skinny brownies, they are more inclined to like them.